The Fire Phone with a lot of loaded features seen by many to rival Apple’s iPhone and Samsungs Galaxy phones will be selling at local retailers around the world or can be ordered through Amazon.com. 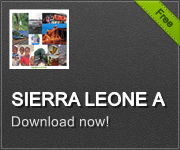 The inclusion for shipment of the Sierra Leone App on the Fire Phone is seen by Mr. Koroma and his team at Songhai Technologies Inc as a major development for the company and its products. Songhai Technologies which recently partnered with the Sierra Leone Anti-Corruption Commission to help combat corruption is pleased at the pace of progress and the relationships being built with the necessary entities that will help serve its users efficiently.